Welcome An Adorable Creature To Your Home – Special October! Do you ever prayed for an angel in your life?? If yes, then almighty is going to bless you with a four legged companion known as “pooch”. You can give him any desired name and a special place in your home and a good health with your immense love and care. We as human beings are highly capable to care for these amazing creatures. Adopting a canine is like welcoming a positive energy inside your home, which will never leave you alone and will always judge you by your gestures and never by any materialistic thing. Who don’t want this kind of companion in this world full of selfish people? If you are willing to adopt a fido from a long time, then you should stop waiting now. Because, now it’s time to make your dream true by adopting a pooch. Yes, October is celebrated as Adopt a shelter Dog month. Be a part of this novel month by welcoming happiness to your house to make yourself happy. Just imagine!! How relaxing it is to play with a furry companion after a long tiring day filled with rut work. It will surely bring a change in your life. The most impressive thing about a dog is his level of satisfaction! He is always satisfied with all the amenities he has around him. They don’t have any cravings and big dreams like humans. Dogs greet every morning with great excitement. You don’t need to organize something big for them. A fido never demands a mansion, but a bit of affection from mankind. To discover more amazing facts on them, make them a part of your life. According to many dog lovers and dog parents, dog teaches many life lessons to them!! Isn’t it shocking?? As till now you must be thinking that you are going to train them. So to clear your concepts, read how a pooch can add quality to your life. 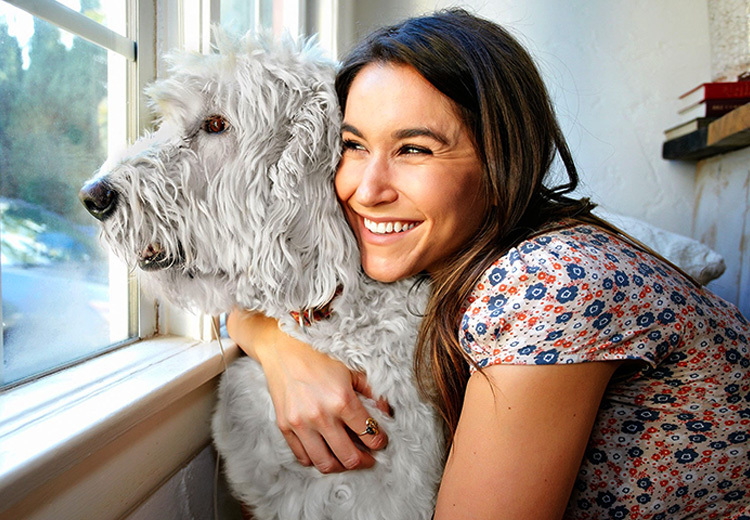 How A Pooch Can Help You To Become A Better Person ? • Adds meaning to your life! Aren’t they amazing!! In spite of so many benefits they never demand anything in return. Good parenting is your responsibility to keep them healthy and agile, it can be daunting initially, but you are going to enjoy the company later. To ensure your dog’s wellness you can be a part of National pet wellness month, which is also celebrated in October. Along with shelter, also bless your dog with sound health!